Okay, I probably could have worded the title of this one more simply. Basically, what this technique involves is doing keyword research to find searches that suggest desperation in the mind of the searcher. – “Browse” keywords are typically short and generic. People typically know very little at this point, and are looking for basic information. – At the “Shop” keyword stage, searchers have usually already gathered basic information, and are now comparing their options (by looking at review sites, for example). – “Buy” keywords are self-explanatory – they’re what people type in to a search engine when they’re ready to buy. Notice how the searches go from one word (“acne”) to two words (“acne treatment”), then even longer and more precise (“get rid of acne”, and “how do you get rid of acne”). 2. Type in single words that imply a strong desire to solve a problem. By doing this simple search in the Keyword Tool you can gain pretty strong insight into the types of problems that people are looking for solutions for online. 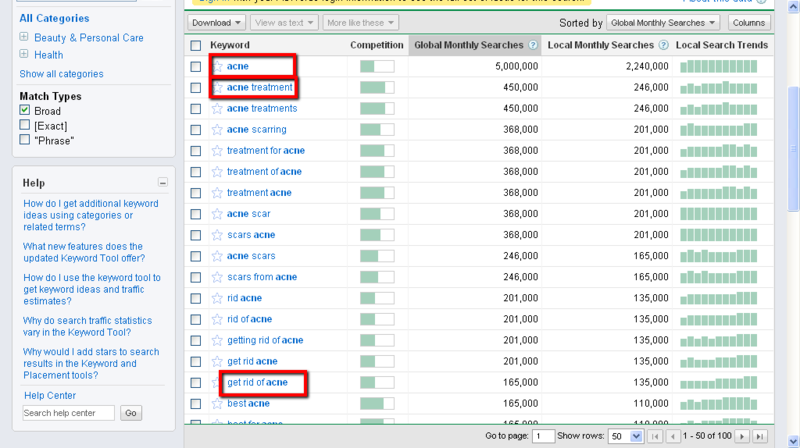 Searches that contain the words “get rid of” have 5 million searches per month! That’s a lot of people looking for solutions. Acne is a HUGE market! It also has a relatively high cost-per-click (CPC). I’m sure the acne market is pretty competitive online, but the combination of (1) a lot of people actively looking for solutions, and (2) a good CPC makes it a prime candidate for a newbie to set up a small portfolio of acne cure sites. You could monetize those sites with Clickbank products, Adsense, CPA offers, etc. And here’s another benefit of the acne market, from an audience point-of-view: what demographic do you think needs acne help? Young people. Do young people need help in other areas of their lives? Yes! They need help with relationships, getting into college, finding a job, etc. I hope you’re seeing my point here: there’s no need for any newbie to complain that they “can’t find a niche”. This simple technique alone can generate dozens (if not hundreds) of ideas for niches to enter. 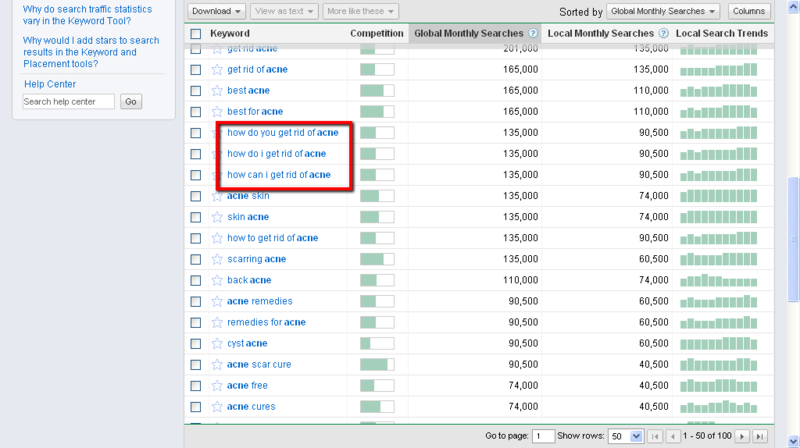 The second keyword research technique I use is a variation of the first one. It involves doing a URL search on the Google Keyword Tool, using the URLs of websites associated with “pain” keywords. 2. Copy the URL of the first site that comes up (you’ll have to make sure the site is relevant to your keyword. When searching the word “cure” on Google, for example, the first site that comes up is one related to the band “The Cure”). So we can see that Google associated the site HowToGetRidOfStuff.com with keywords like arthritis, lice, and dermatitis, along with a topic we’ve seen before (bed bugs). If you actually do this search yourself, you’ll see that Google associates this website with some other huge-volume topics like “plantar fasciitis”, which is a health condition I had never even heard of before, but gets hundreds of thousands of searches per month. So to sum up this section: the Google Keyword Tool can be used in simple and creative ways to find desperate buyers. The data is there – you just need to know how to find it! Forums can be a goldmine of market intelligence, but you have to know where and how to look. Similar to the approach to keyword research I described above, you need to focus on forum posts in which people are expressing a sincere need for help (and also aren’t getting the help they need). The last point is worthy of further explanation: just like people who are closer to a purchasing decision will often use long-tail keywords, people who are desperate for a solution will often get into greater detail about their problem in a forum than people who are just mildly interested in others’ opinions. d. Scan the posts for titles that use emotional language, characters, etc. Notice that the first couple of forums have multiple threads on the topic of plantar fasciitis. That’s a sign that these might be good forums to use for our research. I clicked on the ehealthforum.com site, and scanned through the threads. One that immediately caught my eye had the title “Dilema of Surgery?” This is a person who obviously has been told that surgery can cure their plantar fasciitis, but they’re reluctant to do it – a prime audience for a “natural cures for plantar fasciitis” product! You can see that their post meets a number of our criteria: it uses emotional language and characters (“I’m at the end of my tether!”; “This is effecting my life…”; “Help?”); the post is relatively long; and it goes into detail about their condition. To complete this niche research, I would go through the top two or three forums that come up on Google, and copy and paste all of the threads/posts that meet the criteria above. (2) Look for forum threads that have a high interest/solution ratio. In plain English, a “high interest/solution ratio” means you want to find forum threads that have LOTS of views, but FEW replies. Because it means that there’s a lot of interest in a topic, but nobody has a solution. Once you’ve identified a handful of threads that have a lot of views and few replies, read through the first post in the thread to determine if it relates to a problem (you might also be able to do that by just reading the thread title). If the thread was written by a person looking for a solution to a problem, dig into it! Tip: combine tactics (1) and (2) above, and you’ll home in on the most serious problems that people are having that ALSO don’t have a solution! 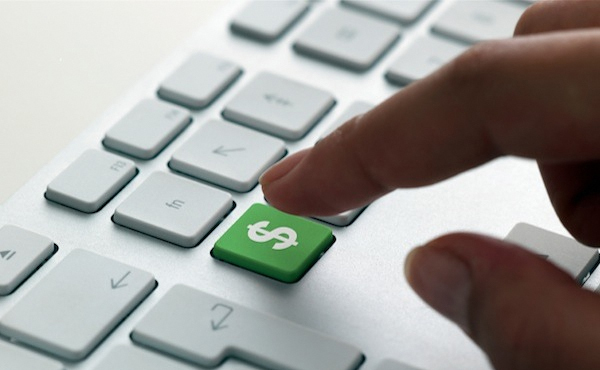 Finding desperate buyers is one of the first steps in building your online empire. But in order to actually HAVE an empire, you need to start selling something! Deciding on a product. You need to either find an affiliate product to promote, or create your own product. My bias is strongly toward creating your own product, because with your own product you control everything – the contents of the product, the price of the product, the elements of the sales page, etc. Creating your sales process. This includes setting up your website, creating a compelling sales page, etc. Getting traffic. No traffic, no sales…no online business! Covering all of those steps is enough for an entire course, and an entire course is what some internet marketers might need. But there’s also an excellent book for IMers who are looking to learn the essentials in one sitting. That book is called Desperate Buyers Only. I bought Desperate Buyers Only two years ago, when I was still taking in a lot of information on how to find a niche. What I found in the book was an excellent road map to creating information products quickly and easily, and how to start making sales. At this point in my online career, I’ve come to the conclusion that a person needs to fail FAST. The quicker we fail, the quicker we learn the lessons that are going to propel us to the next level. Alexis also practices what she preaches and, last I heard, her info products were on track to bring in $500k annually in a range of niches (yes, including the IM niche, but other niches, too). If you’re looking for an excellent guide to finding desperate buyers, get your own product made quickly, and start making sales, I highly recommend you check out Desperate Buyers Only. In this section, Alexis covers 7 steps to find topics that have desperate buyers. She has an interesting approach, and it’s one that complements the methods I teach on this blog. Alexis also includes a nice little cheat sheet, so you can see the whole process on one page. I find that product creation is one of the things that really trips people up. It’s the sort of thing that people make un-necessarily complicated. But the reality is that there are some techniques you can use to create valuable information products in less than a day. Alexis covers some excellent techniques in this section. Alexis is a great writer – her style is informal yet compelling, and she really knows how to reel you in with her copy. Which is probably why she calls her approach to writing sales pages “The 5 Point Fish Hook”. In this section of Desperate Buyers Only, Alexis covers 5 essential criteria for sales page copy, and takes you through a live example of one of her sales pages. Traffic is obviously the lifeblood of any online business. Even with an amazing offer, no site will make money without traffic. In this section, Alexis covers her favourite traffic techniques, and tells you why she likes them so much. In this section, Alexis gives you the URL for one of her sites and describes exactly how she promotes it, and the lessons she’s learned in doing so. In a nutshell, here’s why I like Alexis’ e-book so much: it’s a compact and practical guide to finding desperate buyers, and it offers a lot of practical tips (with “live” examples) that can be implemented by anyone TODAY. What do I NOT like about Alexis’ book? Well, I’m a research nerd, so I like to be really rigorous in the niche research I do before entering a market. Alexa’s research methods aren’t as rigorous as mine. Having said that, I know that her techniques work, and I also know that some people have less interest in research than I do. And to sweeten the pot, I’m offering a free copy of my “Proven Niches” report as a bonus if you buy through my affiliate link here. In this 53-page document I’ve grouped the 1,874 Dummies books into niches, and I’ve included the titles of all Dummies books in each niche. Why is that valuable? Because the publisher of the Dummies books doesn’t enter a market until they’ve thoroughly researched a market and KNOW that there’s demand. This is a GREAT complement to Alexis’ Desperate Buyers Only e-book. Disclaimer: while I have absolutely no hesitation in recommending Alexis’ book (I’ve bought it myself, have read it several times, and think it’s well worth the money), please keep this in mind: purchasing Desperate Buyers Only will not cause buxom wenches to descend from the heavens and shower you with hundred dollar bills (or £100, €100, or ¥500 notes). Building an online business takes hard work, persistence, and experimentation. Desperate buyers are some of the most coveted creatures on the internet, because they’re often searching with credit card in hand. In this post I covered three unique techniques that have worked for me in finding desperate buyers. But finding desperate buyers is only the start. To build a successful online business you need to create your product and your sales process, and get traffic. An excellent resource for learning how to do that is Alexis Dawes’ Desperate Buyers Only. P.S. It’s been my lifelong dream to use the term “buxom wenches” in print. Having done so in this post, I now consider my life complete.